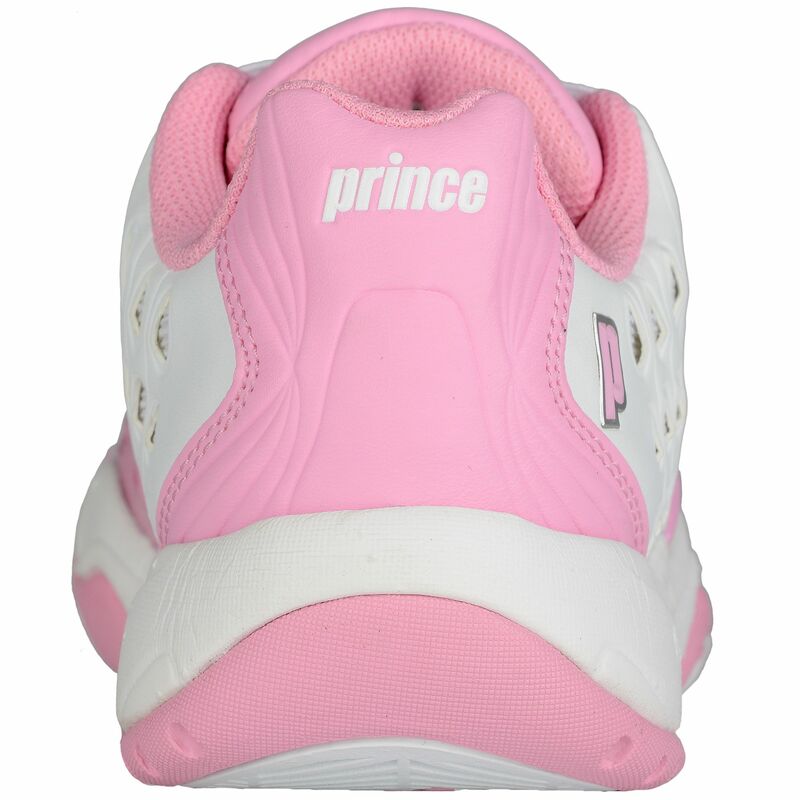 The Prince T22 girls’ junior tennis shoes are an all court option that deliver great support and offer high levels of durability to suit an aggressive style of play. 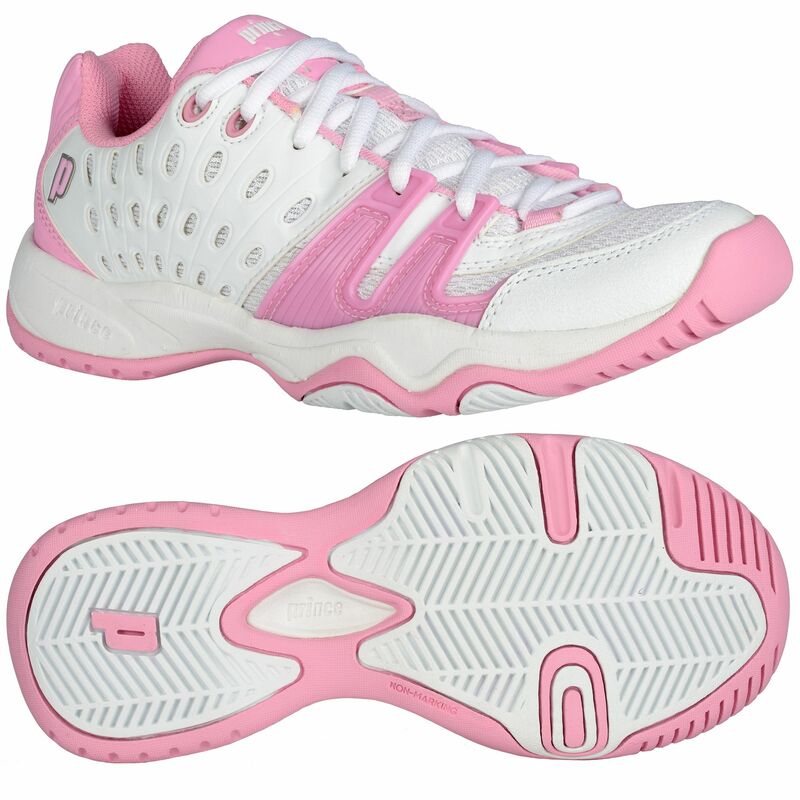 The shoes are designed with an air mesh upper to ensure better breathability at all times, and there is strong Duraskin II material as well which helps to prevent abrasion. In the shoes there is a shock-absorbing midsole which makes motion more comfortable and covering ground over the court smoother. There’s also solid support from the TPU shank to aid stability and performance. The outsole is non-marking and provides high levels of grip thanks to its herringbone tread pattern. 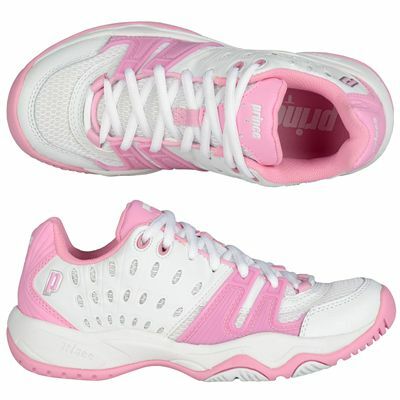 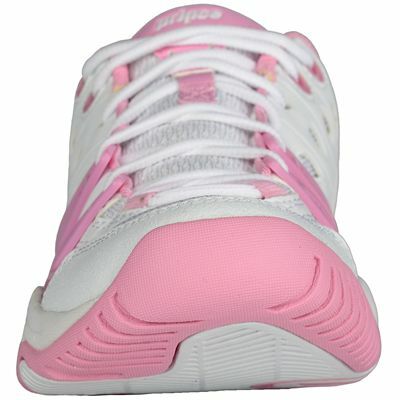 for submitting product review about Prince T22 Girls Junior Tennis Shoes.